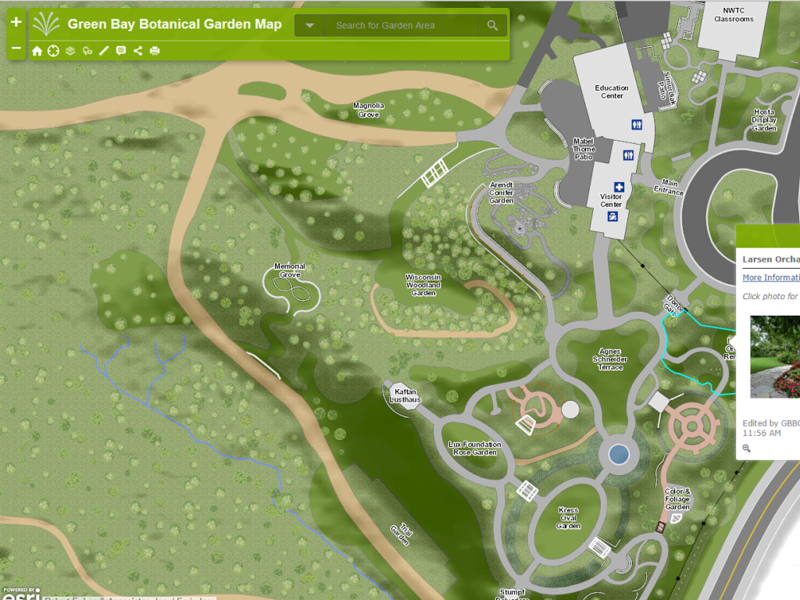 Green Bay Botanical Garden Basemap - Robert E. Lee & Associates, Inc. 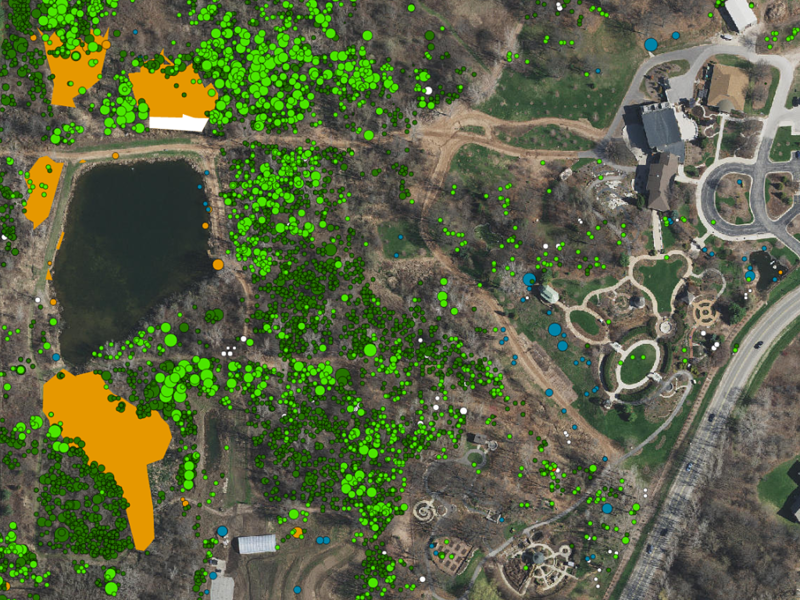 The Green Bay Botanical Garden contracted with Robert E. Lee & Associates to create a detailed and geospatially accurate GIS basemap for the botanical garden grounds. 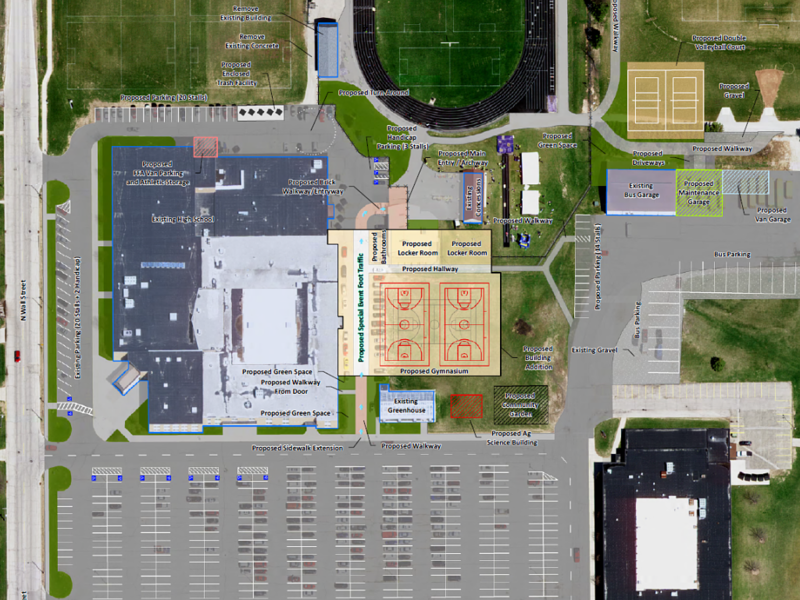 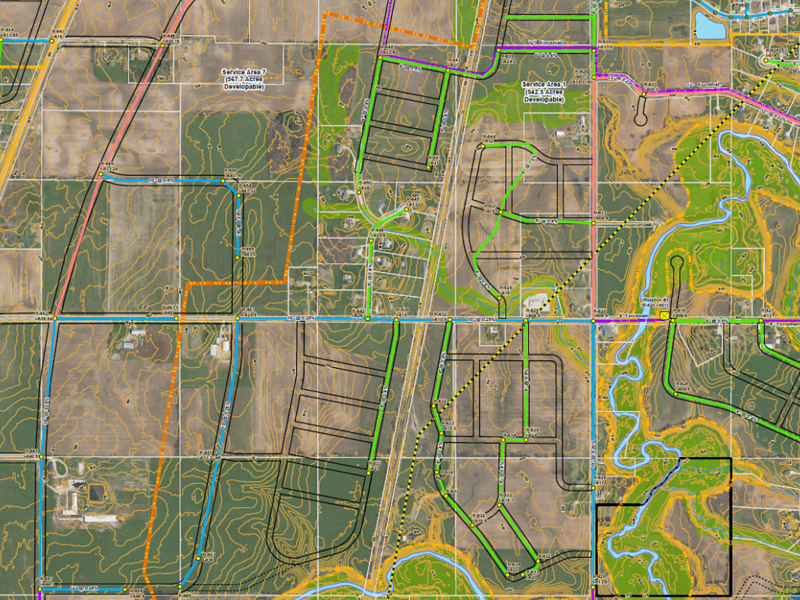 The map was created using a combination of existing CAD drawings, orthophotography, and the ArcGIS campus basemap template. 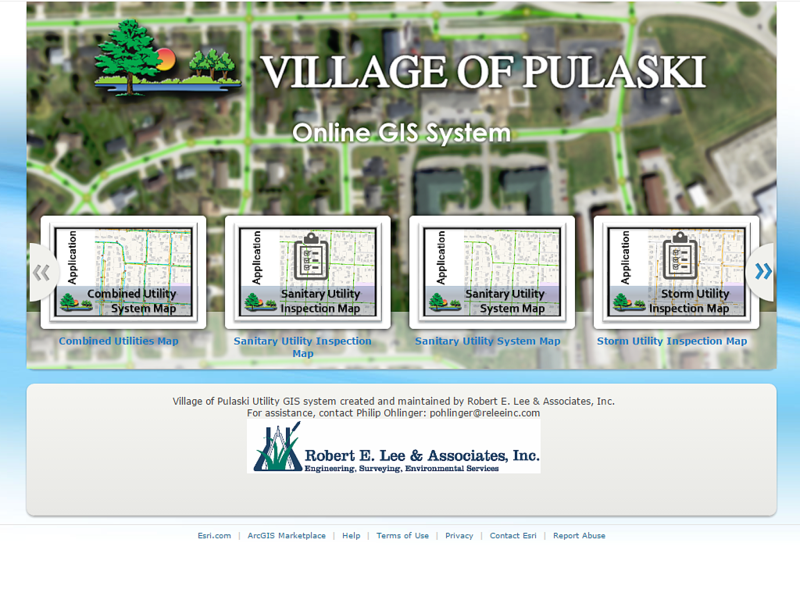 Once created, the map was uploaded and hosted on the Green Bay Botanical Garden's ArcGIS Online account. 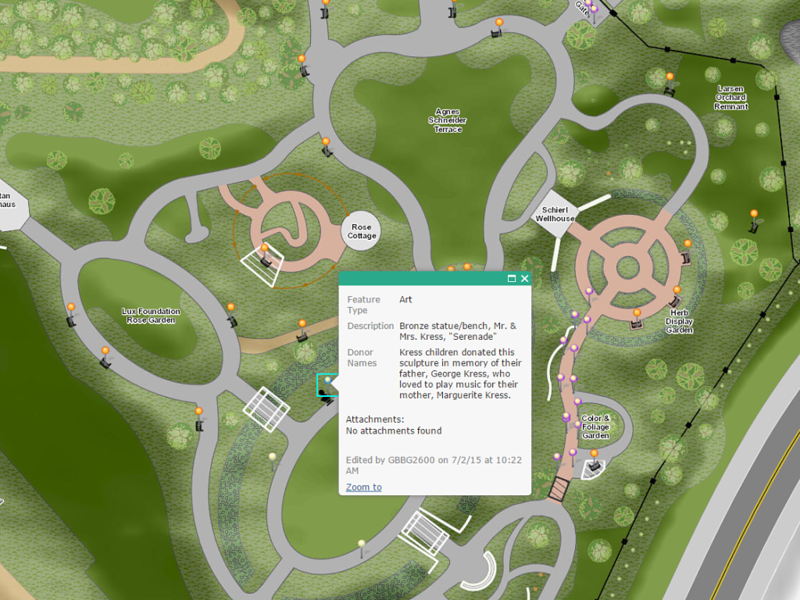 An interactive web map was configured using the basemap, allowing visitors to the garden to learn more about the various features in the garden. 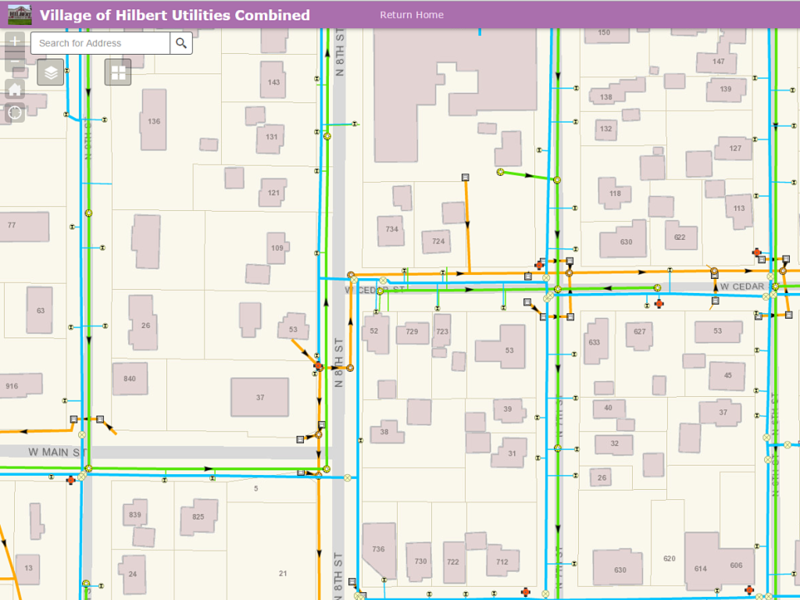 In addition, mobile applications were configured to allow the map to be viewed on smartphones or tablets while navigating around the garden. 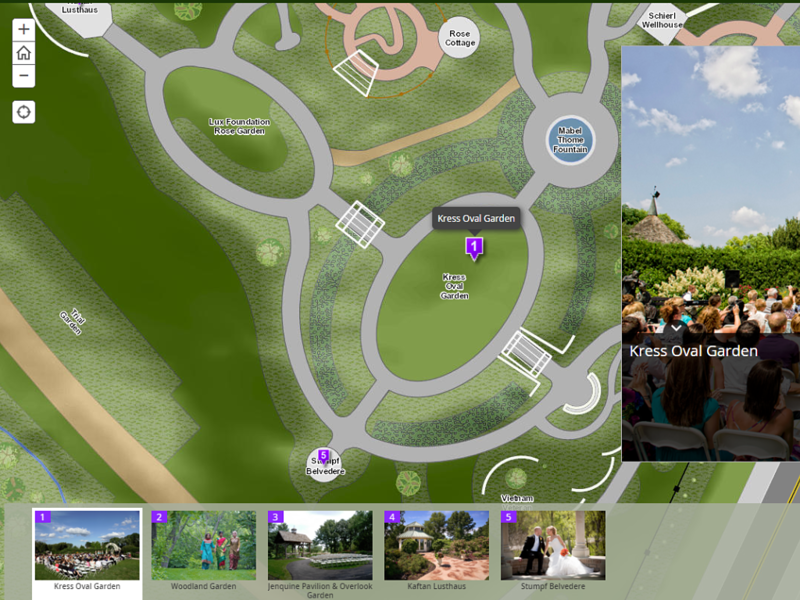 With the basemap in place, the Green Bay Botanical Garden proceeded with other projects utilizing the map, including a story map tour of the wedding locations on the grounds, a donor map that depicts the locations of features that were donated to the garden, and an application used to track and mitigate invasive species in the gardens.